I am just coming back from a week of meetings, events and workshops out in the Mid West, between Kandos, Mudgee, Capertee and Bylong Valley. This was the first, on-the-ground-time for me to spend on the Wildfood Store project in the region. I met some amazing people, and I saw some very dry conditions too. We are now in ‘the worst drought in living memory’, and by now rural communities are just unsure of what’s next. With this in mind, I went to talk to the people working and living in regional NSW. I cannot do much, and despite the fact that support is coming in from all over the places in forms of donation drives or government rebates, the elephant in the room is that we -as a society- need to reconsider the expectations we have of the land. So here I am, bringing forth a proposal that hopefully will drive interest in available, drought-resistant species: the spontaneous flora that grows despite the harsh conditions. The project has two heads. On the one side I need farmers to look at their property and tell me what edible species they can guarantee delivery of. On the other side I am offering novelty produce to top-level restaurant in the city, to see what they recognise as havin value and what they want to work with. We are lucky to have a distribution partner on board, Sydney Direct Fresh Produce, that is promoting the produce and providing an extensive network of distribution. They will act as the portal of access for the restaurants and cafes. Below is the list of species we are focusing on at the moment from the Sutherland harvesting hub. We have already started to roll them out. Cat ears, aka flatweed. Common naturalized weed around most of Australia. We harvest this young shoots from parks and private pastures. Much loved by the Greek community, key ingredient in hortapita, the weed pie they love to serve in springtime. It is best cooked in sauces or sauté and served hot. Can be bitter when older, the younger ones have and excellent and strong profile. Available all year round. Delivered in punnets of small selected buds or bags of loose leaves. Farmer friends, aka cobbler pegs, Spanish needles, sticky beaks, bloody thing, etc. Excellent food and medicine plant naturalized to most of Australia. Famous for having seeds getting stuck on clothing when you go bush walking. 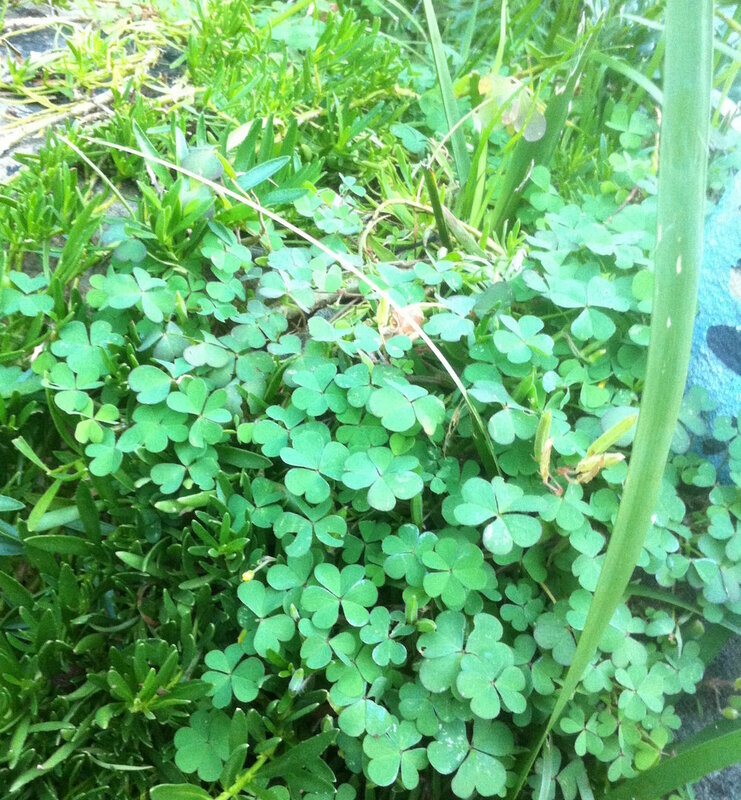 Quite aromatic, we present young shoots that can be added to salads or introduced in sauces. The young leaves provide for a stunning and flavorsome presentation item to finish off a plate. 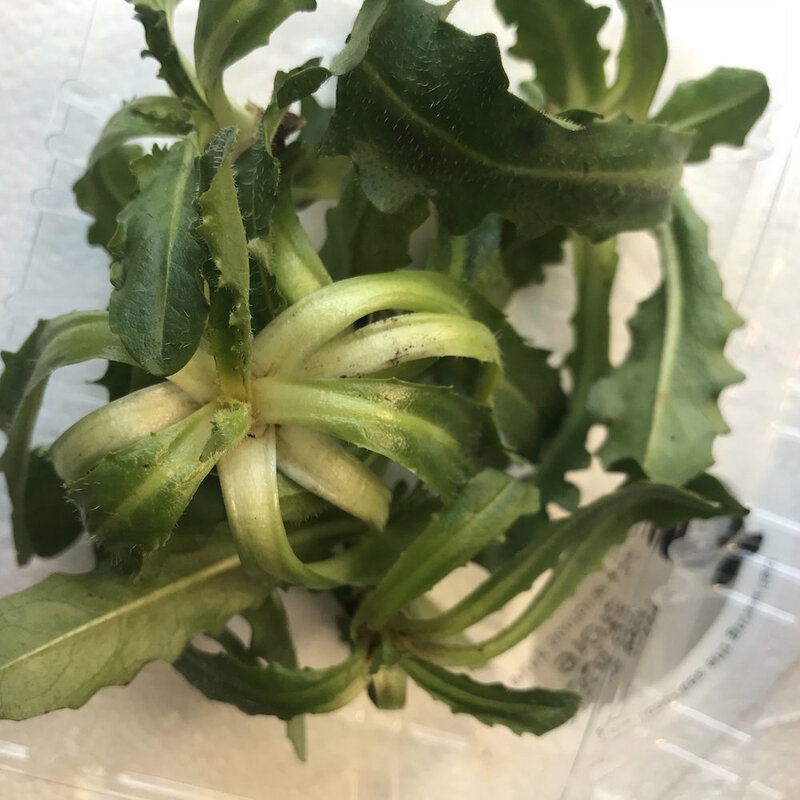 Chefs have used them in salsa verde (Paul Cooper, Bishop Sessa), served them with BBQ baby carrots or in a Vietnamese style chicken salad, served them with rambling dock and scotch thistles (Jared Ingersol ex-Dank Street Depot). Delivered in punnets of small selected buds. Available most of the year. Rambling dock, aka turkey rhubarb. 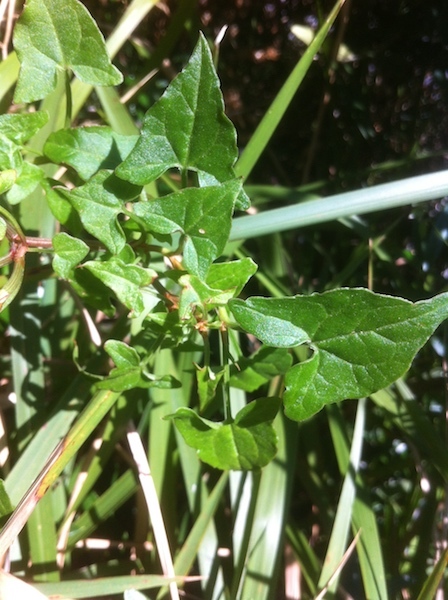 A cultivated vegetable in Java, now common weed in bushlands on the East Coast of Australia. Used extensively as garnish to finishing off plates, the leaves are quit zesty. Excellent for gin-based cocktails and in salads together with other bitter leaves. Chefs have been using them as garnish for carrot peels salads (Sarah Jewel, Aria Opera House). Delivered in punnets of small selected buds. Available all year. Wild fennel. This plant has been used in countries as far apart as India and Lebanon. Much loved for its digestive properties and collected wild still now by old ladies in Sydney. We harvest ours from private properties and can offer several parts according to season. At the moment we can offer young shoots, in a couple of months we can offer flower heads and November onwards seeds. Very versatile, excellent in baked goods, as aromatic finishing item for plates and as a garnish for drinks. Wild sorrel. This is a classic. Used as a foraged item by kitchens all over the world. Great to finish off a plate, the heart shaped leaves are just super cute and instagram-baits. As recipes go I can mention an old one, from 12th Century England, when they use to make a sauce with it, to be served with game like boar and deer. It can be tricky at time to find good sources as is very susceptible to environmental conditions. Some colonies look better than other, so there is variability too. Available all year round, we deliver it in punnets of small selected sprigs. The Mid Western region of NSW would be one of the harvesting hubs for the project and so far we are looking at: Nettle, Flatweed, Mallow, Peppercorn berries, Wild fennel, Wild asparagus, Farmers friend, Purslane and Salsify. In my next blog post I will talk about the stories that are emerging from this experience. So much to say, so many possibilities. It is so humbling to realise how much abundance there is out there, despite the drought.